A sweet and whimsical story set in post-WWII London takes Polly on a trip down memory lane. This fairy tale almost has to be a Two era story, featuring the recorder, a can of baked beans, and a quirky blend of comedy and menace. Most of it takes place in a London department store that Polly visited as a little girl with her mother. But where the Doctor goes, danger follows, to Ben’s relief. He was starting to worry this would be an absolutely boring adventure. It isn’t, although a lot of it centres around Polly’s childhood nostalgia. There’s also some fascinating thumbnail glimpses of what it was like to be a child in the “Keep Calm and Carry On” aftermath of World War II, when life was just beginning to return to normal. The threat in this story is a little mystifying, and I’m not 100% sure I figured out what was going on behind the scenes. For once, a few more words of exposition might not have gone amiss. Mainly, it’s an excuse to listen to wonderful Anneke Wills and her charming Ben imitation. It’s like hearing a favourite auntie telling a scary story suitable for children as well as adults, which Two era serials were and Big Finishes generally aren’t. Since I’m coming off the flu (which may explain why I’m struggling to understand plot this week!) it was the lighter sort of fare I needed. Longtime fans of the show may notice a fairly major contravention of later canon, but you know classic Who: not so much canon as common law. I loved Polly crossing her own timeline, even if it’s a no-no for her to be making physical contact with her own past self. The scene where she’s wiping away the child’s tears is lovely without being too saccharine, with the wartime reference of a soldier killed in action to keep it grounded in reality despite the absurdity of the possessed bean tins and plush toys. Young Polly is be so terrifyingly cute (if a bit bratty) that I forgive the implausibility of aliens so powerful they can freeze time yet can’t free themselves from a tin of beans. I suppose that the object the aliens were wrangling over was, in fact, Polly’s bear? And that it had to be given back? That’s the bit I couldn’t quite understand. It’s a funny coincidence that Polly’s bear was the one they were fighting over. Sometimes I think the Doctor’s influence must attract weirdness all along his friends’ timelines, even before and after they’re traveling with him. 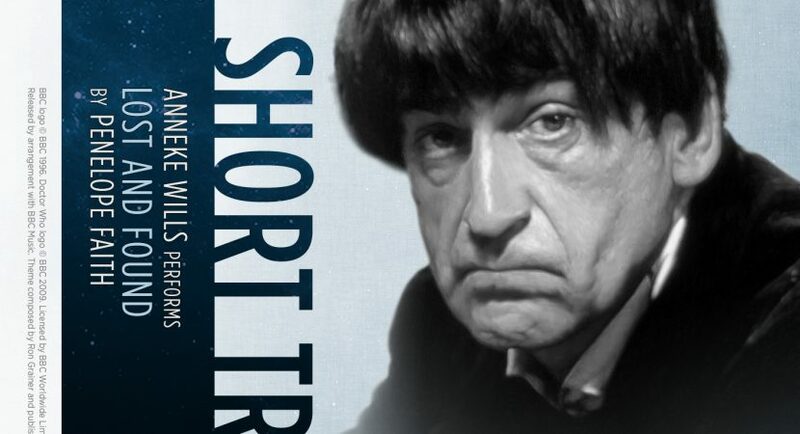 The synopsis on the Big Finish website says, “Ben and Polly have arrived with an old friend with a new face,” and of course, Jamie arrives in the second Patrick Troughton serial, so this is obviously between The Power of the Daleks and The Highlanders.